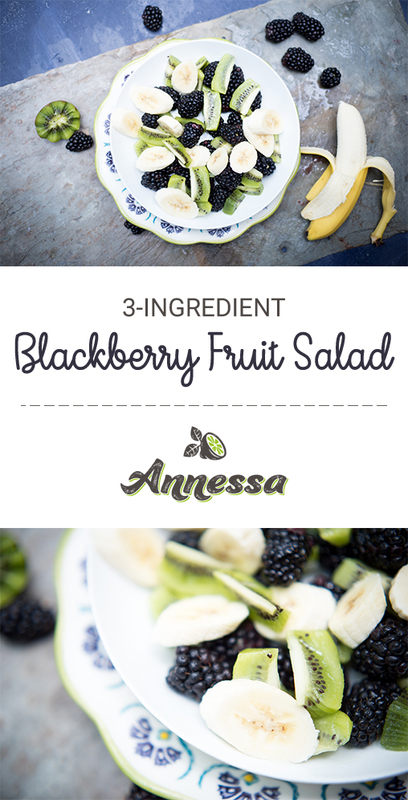 Another 3-ingredient fruit salad idea for you! It’s (of course) really simple, but this combination of flavors is delicious and makes a great lunch or dinner side. If there are leftovers, freeze a small bag for a smoothie the next morning. Blackberries so packed with antioxidants, they are like little disease fighters. 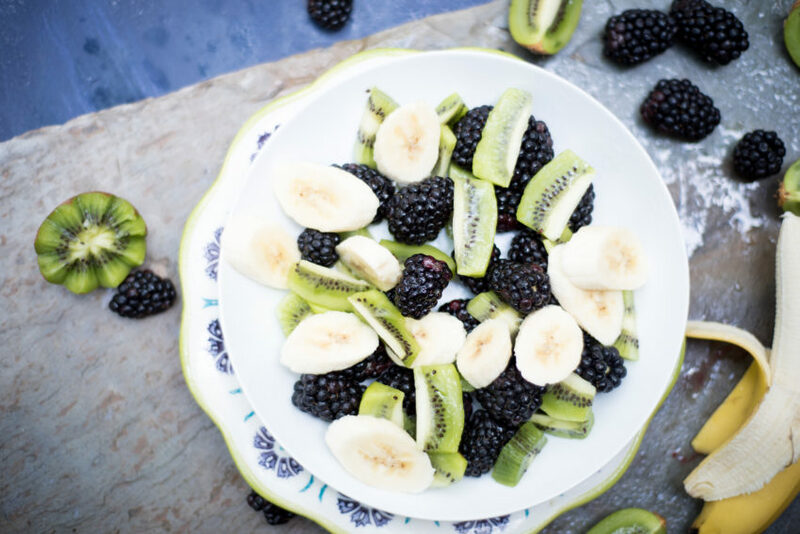 Kiwis are good for you eyes, and bananas are great for energy and gut health. This kind of salad is great for the heat of summer, when you need these nutrients the most! If you try this combo, let me know what you think! I would love to give you more health tips on Instagram, Facebook and Twitter. 2. Place any leftovers by the cupful into a zip-top bag and freeze. Use for anti-inflammatory smoothies in the morning! Blackberries to fight disease! How many do you need each day?